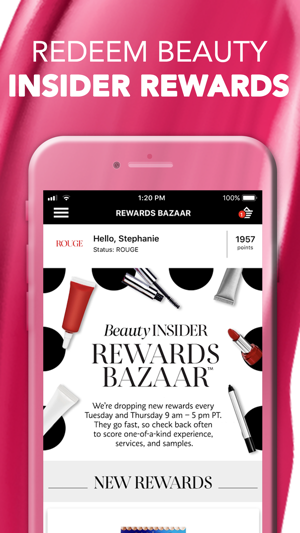 Fun new makeup, quality skincare, luxury fragrances: discover brand new beauty rituals with Sephora. Everything you could need in one place. 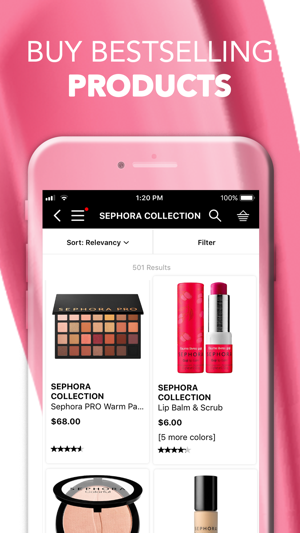 Whether it’s a beauty staple or the very latest makeup trend, buy your cosmetics and explore makeup & skincare brands with Sephora. • Shop from leading skincare brands like Kiehl’s, La Mer, Drunk Elephant & many more! 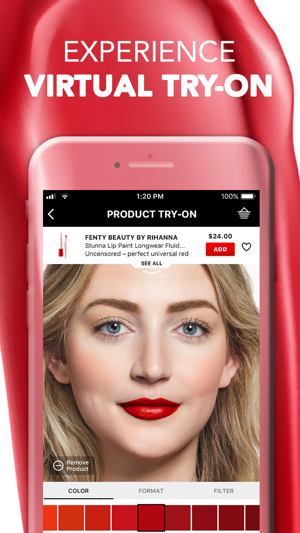 • Find bestselling brands like FENTY BEAUTY by Rihanna, Urban Decay, Kat Von D & many more! 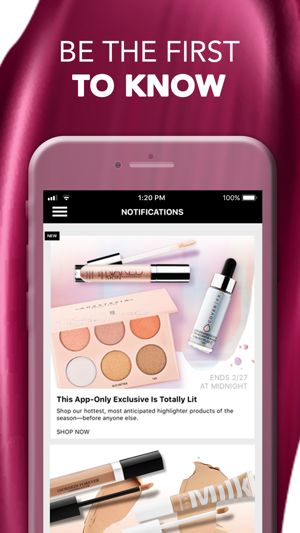 The Sephora App has your beauty needs covered from head to toe. 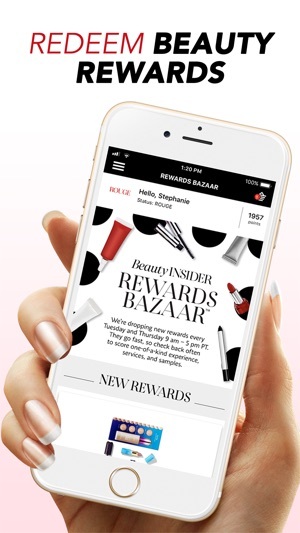 Never miss a beauty deal with Insider-only offers, exclusive products, promotions and more. Reorder your last purchase or check the stock availability at your local store while on the go. Want to try something new? 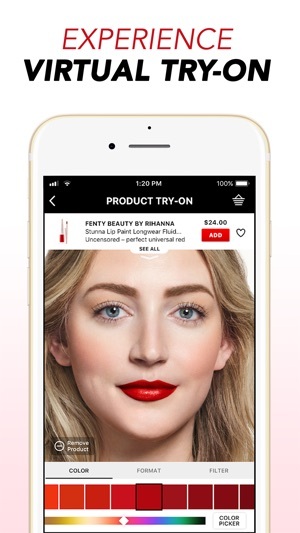 Why not book a custom makeover at your local Sephora Beauty Studio, straight from your phone. 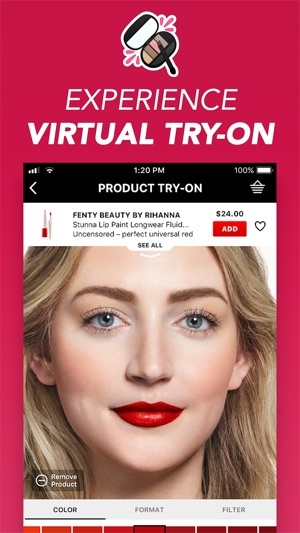 Download now for the best beauty shopping experience. 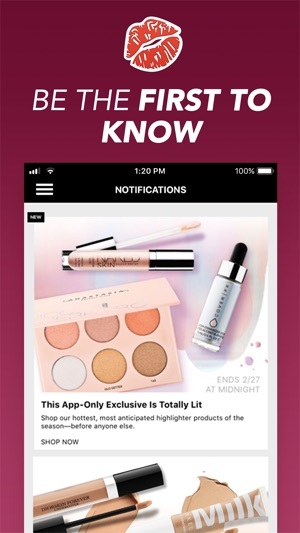 This app is way too easy to use, and makes it possible for me to purchase more products that I will love. I am very upset that Sephora has become one of my favorite bad habits. Plus, you have an app. I just found the shampoo that I think will be PERFECT for my hair. I bought it. Ouch. But, I will savor this product. I will love it. And, the app is to blame for being easy to use and way too available. I mean I have tried shampoos, but whoa. I think Briogeo may be made for me. I can’t wait! 2 day shipping!!!! And, all those amazing samples!!!!! That part is better than the actual store experience. Thanks Sephora. I can’t wait to see my hair after using this new product. In all seriousness, I have been a faithful Biolage customer for over twenty years. But, they are not cruelty free. Nothing has worked for me like Biolage. But, Briogeo, it just must be good. I researched it on their site, and then purchased it through Sephora. Easy Peasy, except that it was not free. I would like it to be free. That would be awesome. Thanks Sephora. Everything I need and want is soooooo easy to order! This is is BEST online shopping experience I've ever had! Easy to mark FAVS and add and edit your cart...unlike the nightmare mazes some stores force you to crawl through when you want to get in and out. And if you have some time read, watch videos learn new techniques, styles and literally "wander and window shop!" It's that shopper friendly of a site! I can research and review innovative....or just plain fun....new products!! And keep my makeup tower well stocked with my all time ab-fab favorites!! And I LOVE ALL OF THE SAMPLES AND PROMOS/REWARDS for shopping!!! I feel like a kid in a candy store!! We all like to feel like we are getting a little fun something extra! And plz plz plz don't forget to watch the FREE tutorial/videos from professional makeup artists linked right from the sight. They are sooo much fun and valuable information considering they are professionals!!!! There is also a concierge number you can call for advice and or help. GREAT JOB SEPHORA!!! The app is very user friendly and comprehensive. It’s full of lots of special features but I mainly use it to shop and read product reviews. 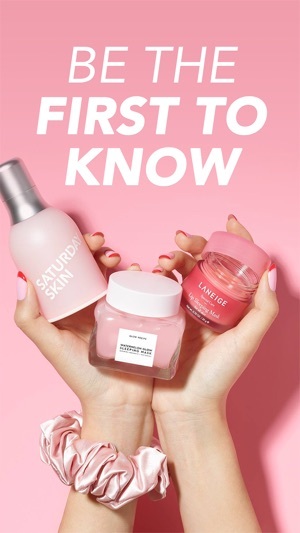 Unfortunately these days new products may have plenty of reviews—more than you’d expect at that point—but they’re all or almost all from people that have been given the product for free in exchange for feedback. For one thing, I see a lot of the exact same words/phrasing on many different products making the opinions feel like canned responses. 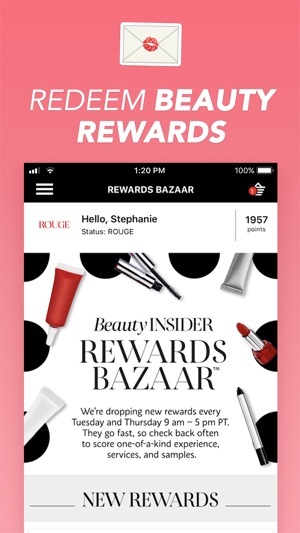 Also, without knowing who is providing the product and for what reason/program it’s being provided by and what the relationship/role of the reviewer is to them, I can’t help but be skeptical and wonder if their glowing reviews are actually provided so as to obtain or “earn” more free products. Also, like another reviewer mentioned, I really hate that they removed the Q&A feature on each product’s description. That was often very helpful when the descriptions were too short and uninformative. © 2016 Sephora USA, Inc.